Black History Month is a time to reflect, learn, and celebrate the countless contributions African Americans have made – a time to recommit to the work of Civil Rights and Community Engagement. One crucial step is incorporating Black Leadership principles into our organizations and society. We begin by acknowledging the last year of the first Black president who has served our country with dignity, integrity, and high ideals. 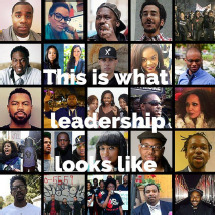 These 4 principles illustrate how much BLACK LEADERSHIP MATTERS! Slavery was rationalized in part by the erroneous belief that Black people did not have souls. In fact our Constitution designated Black men as three-fifths of a person. Soul, which some attempted to deny Black people, blossomed into a distinct cultural feature. Soul sister, soul food, soul music – SOUL represents a deep understanding on how a spiritual foundation sustains people. The Black church became a social, intellectual, and political anchor. By transforming oppression into strength and hope, Black people created a community bonded by common hardship, forged a shared identity, and cultivated the power for change. Leaders transform negative experiences by finding new directions and healing the past. Recognize your power to transform obstacles and the most difficult situations into opportunities to grow and become stronger for yourself and your community. Lift Every Voice which is considered the Black National Anthem begins: “Sing a song full of faith that the dark past has taught us.” Black people do not forget the past for in that is power, determination, and the engine for change. The past is a pathway to understanding the present and creating a stronger future. By learning from the past, mistakes are not repeated and progress is made. Leaders build on past achievements and learnfrom past mistakes while looking forward to a better future. Reflect on a past mistake or failure – what did you learn? How has this made you a better person and leader? Sankofa, a mythical bird from West Africa, plants its feet forward but looks back. Sankofa means return, go back, seek, and retrieve – reminding us to reflect and learn from the past. Traditionally Black leaders remained part of and served their communities. They set the example so people identified with them, and believed they too could lead – an essential in a community where leadership is based on collective efforts. This may sound simple, but mainstream leaders often set themselves above others and take more than their share. In contrast, attaining the moral authority to lead requires Black leaders to earn community trust. No matter how “important” a leader becomes she must be accessible, work side-by-side with people, and “walk the talk” – modeling good character, honesty, humility, generosity and keeping one’s word. What steps can you take today to increase your credibility as a leaders by emulating these qualities? Martin Luther King Jr. believed, “The religious aspect of our quest for justice is a struggle to make our society whole.” Black leadership integrates spirituality with social responsibility. This brings us to a profound question: What is the purpose of leadership? Traditionally Black leadership focused on building community, the public welfare, and addressing barriers that hindered people. This entailed cultivating people’s capacities and nurturing a community of leaders. The purpose of Black leadership – promoting justice, equality, community, and citizen engagement – are needed today to build the inclusive society and address the many challenges facing our society. Reflect on the purpose of leadership in society today. What would our society be like if leaders saw their role as working for the common good? BLACK LEADERSHIP MATTERS because it provides a road map to create a more viable and sustainable future that works for all the people.